At Pilates by the Bay, we want you to build a strong Pilates foundation. We will customize your program based on your age, fitness goals, and any previous injuries. Your program will include mat work and equipment work, primarily on the Reformer. 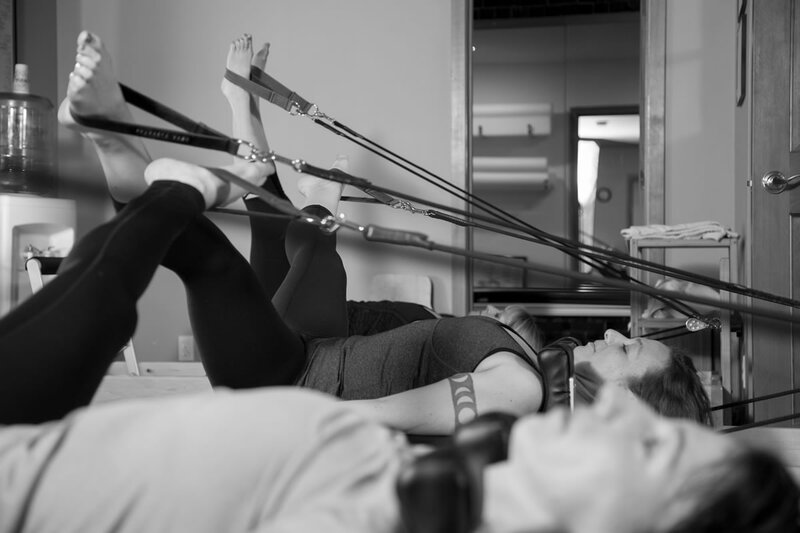 To experience the most benefits from Pilates, we recommend 2 to 3 sessions a week. Sessions are 55 minutes. Alignment – Optimal alignment is achieved with proper positioning of the head, shoulders, ribcage, pelvis, legs, and feet. This alignment is maintained while performing the exercises. Breath – Proper and effective breathing not only oxygenates the muscles, it also assists in activating the core muscles and reduces tension in the upper neck and shoulders. Centering – Pilates exercises should be initiated from a stable center or torso, helping to create flowing, efficient movements. 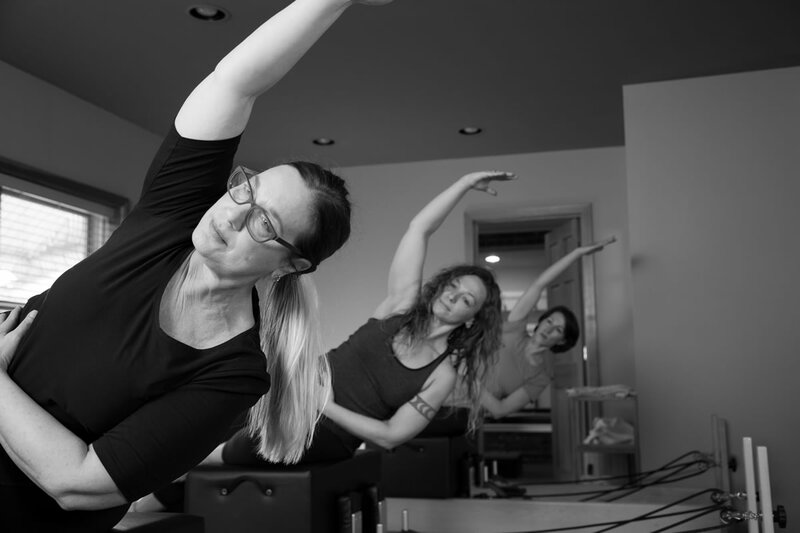 Concentration – Pilates builds the mind-body connection by consciously using the mind to control the movements of the body. Control and Precision – Every movement counts and has an intention. This eliminates the need for high repetitions and multiple sets. Flow – Motion should be smooth and continuous to build stamina and endurance. The attention placed on proper alignment restores muscular balance. Proper diaphragmatic breathing carries oxygen to the muscles and initiates the contractions of the deep stabilizing muscles during exercise. The focus and concentration required keeps the mind sharp. Completing each movement with proper posture, form, and positioning eliminates the risk of injury. Control, precision, and quality of movement are more important than quantity. Developing the deep stabilizing muscles produces a body that is strong and stable from the inside out. With proper instruction, all exercises can be modified. Pilates can be challenging to the elite athlete yet safe and effective for an older adult. Pilates by the Bay offers a variety of Pilates sessions and pricing packages, including a special Introductory Package for new clients. For more information, just send us an email or give us a call.